Employers have employee handbooks and policies to help employees succeed by making the rules obvious and known. However, when an employee violates the provisions of an employee handbook or policy, the employer uses the violation as a cause for termination. Our experienced representatives know that although a violation may be grounds for termination, it may not be a reason for a denial of unemployment benefits. Although the employer can use the employee handbook to show an employee knew the rule or policy, the employer must still show that the misconduct was willful and intentional. A mere violation of a policy is not enough to cause a denial of benefits. Attendance violations — whether absences, lateness or a violation of call-in procedures — do not automatically result in a denial of benefits. No-fault attendance policies by their definition do not require showing that a violation was in an employee’s control; an employer may have to convince an unemployment hearing judge that each violation leading up to the termination was an intentional act of misconduct before unemployment benefits will be denied. Insubordination and harassment are subjective, so it’s difficult to show intentional misconduct. Both are subjective, so an employer has to go an extra mile to show the conduct was harassing or insubordinate before it can convince the unemployment judge that the act was intentional. In the cases of harassment and inappropriate conduct, the employer often does not bring in the victim or a firsthand witness. Our experienced attorneys know the standards of proof and how the law is applied. Failing a drug or alcohol screening or test does not guarantee a denial of unemployment benefits. Many states, such as Missouri, have statutory guidelines which must be followed if the employer wants to deny unemployment compensation based on drugs or alcohol. The statutory requirements are often unknown to the human resource (HR) personnel or the witnesses testifying. In order for a Missouri hearing office to rule against a claimant, the employer must show that chain of custody, opportunities for a second test, that testing was performed by a DOT-certified facility and other requirements were met. 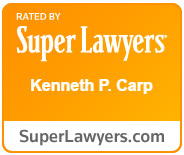 Contact the Law Office of Kenneth P. Carp for a consultation and learn how our experienced professionals can help with your unemployment issues.